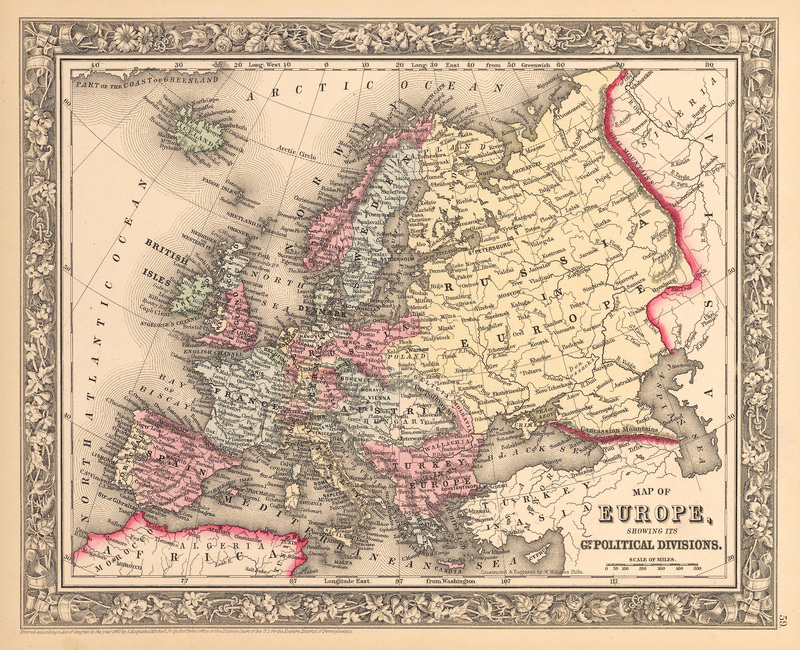 Home > Products > 1862 Map of Europe Showing its Gt Political Divisions. 1862 Map of Europe Showing its Gt Political Divisions. This is an authentic, antique lithograph map of Europe showing its political divisions, by Samuel Augustus Mitchell Jr. The map was published in Philadelphia as part of Mitchell's New General Atlas of 1862. It is color coded according to country and notes river systems, important towns, and cities throughout. The map is surrounded by an elaborate floral boarder that distinguished Mitchell’s works from other map makers of his era.